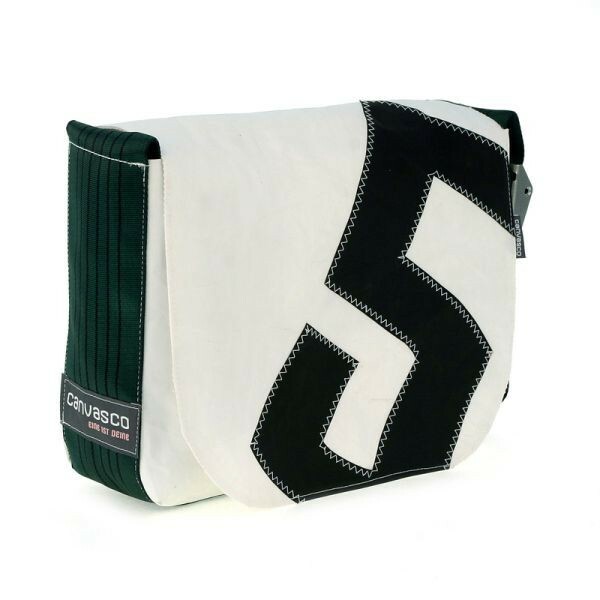 Urban bag canvas S - black number five on the front flap. Made in Germany. For men and women. The UNIQUE folding cover bag with Velcro closing system. Water repellent. Inside laptop compartment (10"); camera/cell phone pocket; bottle pocket – with 3 integrated zippers. High 11 x wide 14 x deep 4cm the strap is 3.6" wide adjustable shoulder strap and a V2A buckle.